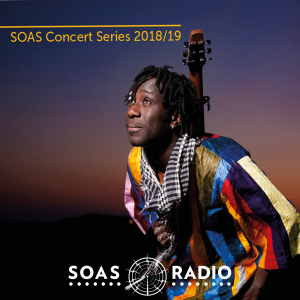 With an ever-growing popularity and profile, the Concert Series at SOAS has established itself as the place to go for some of the most interesting and varied multicultural music in London today, with consistent high quality and a great concert atmosphere guaranteed - and it's all for free! This programme allows you to listen again to this year's SOAS Concert Series, with live recordings provided by Jeremy Glasgow and Denson Abrahams from the SOAS AV Department. The SOAS Concert Series is run by the Department of Music at SOAS. Be transported to the streets of Montevideo with this live recording of Guillermo Rozenthuler's Candomb? band. Recorded live at the concert, part of the SOAS Concert Series, on Monday 10th November 2014. Joel Flynn interviews Matthaios Tsahouridis after his performance at SOAS on the 27th January 2009.